UPDATE: There has been no more reports on the death of Baghdadi. We suspect this story is a fraud. 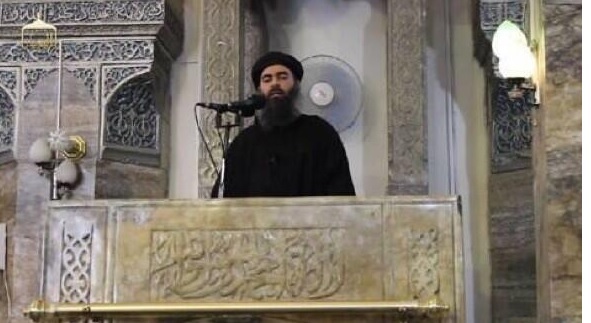 Syrian TV Saturday announced that ISIS leader Abu Bakr Al-Baghdadi was killed in an airstrike. So far Syrian TV is the only outlet reporting the news. The Islamic State capital al-Raqqa came under heavy airstrikes last night. The Islamic State’s (ISIL) leader and founder, Ibrahim Abu Bakr Al-Baghdadi, was allegedly killed by an airstrike in Raqqa City, Syrian State TV reported this morning. While no other other media outlet has claimed Baghdadi has been killed, there were reports of heavy airstrikes over the provincial capital of Raqqa last night. Without confirmation from the Islamic State’s official media wing, Al-‘Amaq, or images to validate this claim, it is too hard to verify the rumor at this moment.